Your organization's productivity rests on the availability and performance of your network. This requires you to discover and monitor every device within the organization, working to maintain the delicate balance of speed, accessibility, and utilization. 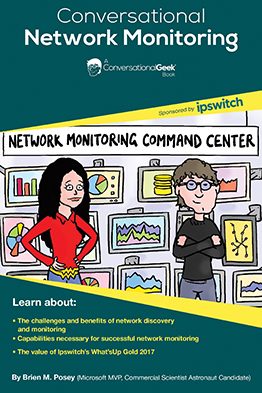 Learn the how, what, and why of network monitoring, and how a third-party solution can help. Copyright © 2019 Brien Posey. Powered by WordPress. Theme: Spacious by ThemeGrill.